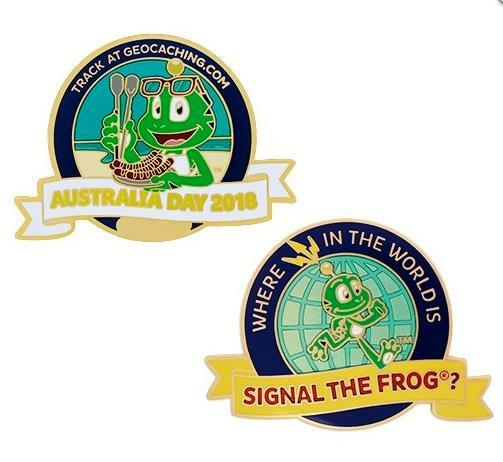 HomeÂ >Â Trackables Â >Â Australia Day Geocoin- Where in the world is Signal the Frog®? This impressive geocoin, designed by Geoundspeak's very own Roxxy, truly has to be seen to be appreciated. It a very heavy coin with incredible detail and colors along with very fun layers of design.